Well, they are the most beautiful four words to an editor, anyway. 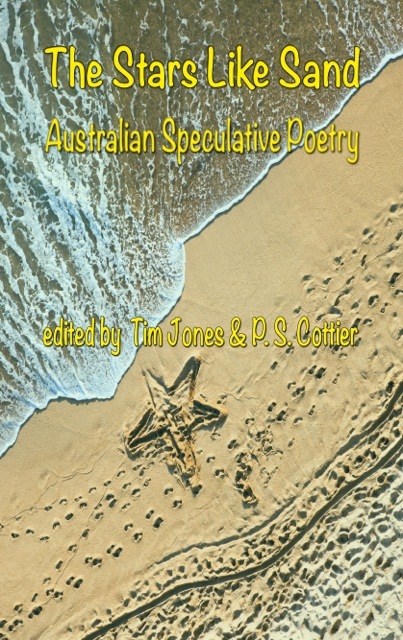 We’re finalising launch details for The Stars Like Sand: Australian Speculative Poetry, edited by Tim Jones and me. There will be a launch in Melbourne, and one in Canberra, both in June. Poets will read poems from their own copies of the book! One editor will probably drink too much! Details to follow. Of the time and venue, not of the drunk editor’s proclivities. For more sensible entries, I suggest you tap the following feather. Feather-tapping is a thing now. Huge congratulations! Looking forward to the launch, and poems! And the possibility of a drunken editor? Thanks Sarah! I really enjoyed the haiku event that you organised at the weekend. A very welcome break. And drunken reader? Thanks for coming, it was such a great group. Now I have to stop, Simon, and pour myself a stiff drink. Vodka is the answer, I find. The question? Mmm… Can’t quite remember. Probably it was something existential and Russian. Drunken Australian poets: Putting the toy in Tolstoy.